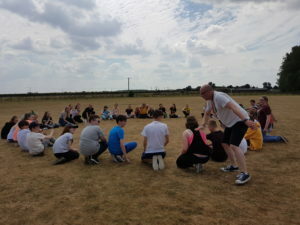 As part of Activity Week 2018, ICA-Perform, the Performing Arts Department of Hall Cross organised the Dance and Drama Camp to PGL Caythorpe Court near Grantham for KS3 students. We had an absolutely brilliant few days! 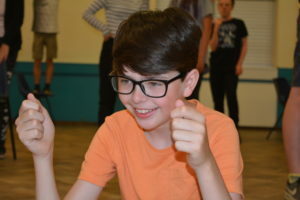 For their morning sessions, young people chose to specialise in either Dance or Drama. 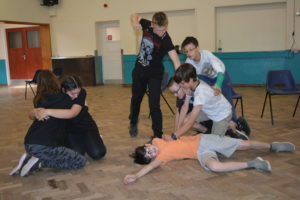 Classes included Building a Character, Theatre Games, Improvisation, Commercial, Jazz and Contemporary. 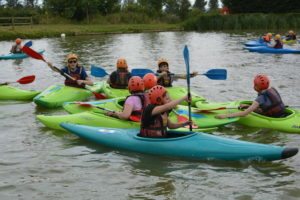 It was a perfect opportunity for everyone to develop their skills, build their confidence, increase independence and a chance to create some fantastic memories. 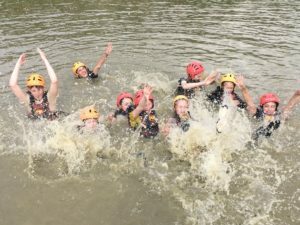 Later, in the afternoons, we took part in kayaking, giant swing and abseiling adventure activities within our teams, led by the inspirational KS5 Dance and Drama Ambassadors. As students jumped, climbed and paddled they cultivated their team work, communication, leadership and problem-solving skills. Each day, the team which impressed our camp leader the most won the ‘Team of the Day’ award! During the evenings we had a scavenger hunt, sports games and an extremely competitive game of capture the flag! 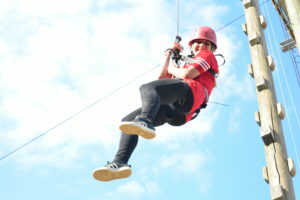 The unconventional activities organised by Miss Layte during afternoon recreation were a highlight of the camp. We had great fun locating various clothes pegs, watching a fashion contest with a difference and guessing the origin of several mystery items. Throughout the week, professional choreographer Amy O’Sullivan (Casson & Friends), from Lincoln, and director Daniel Taylor (Blood Brothers), from Liverpool motivated and inspired the actors and dancers. At the end of the week, our students all performed their dance and drama work. Their performances were live-streamed on YouTube and we had a special guest audience of PGL instructors from across the site who really enjoyed the showcase! 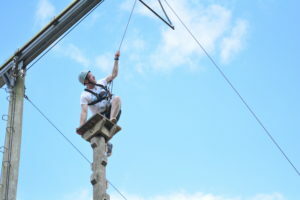 The trip will be running again in summer 2019 during Activity Week from Monday July 15th to Thursday July 18th. This trip is £261. This includes return coach travel, three nights full board accommodation at Caythorpe Court Tented Village, rehearsals and classes with a professional choreographer or director, adventure activities, evening entertainment and a showcase event. Due to the fact that breakfast, lunch and dinner are provided, there will only be a short amount of supervised recreation time, so there will not be any real need for additional money whilst on the trip. 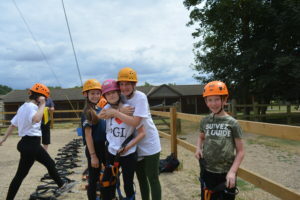 In order to secure a place on the camp (there are 60 available), we ask that a deposit of £69 is made via ParentPay by Friday December 14th 2018 and that the PGL Activity Week Consent Form is returned. Please do not hesitate to get in touch should you have any queries regarding the camp.